Pam Houston is the author of two collections of linked short stories Cowboys Are My Weakness (1994), which was the winner of the 1993 Western States Book Award and has been translated into nine languages, and Waltzing the Cat (1999, reissued 2013), which won the Willa Award for Contemporary Fiction; two novels, Contents May Have Shifted (2012); and Sight Hound (2006), all published by W.W. Norton & Co.; and three collections of autobiographical essays, Deep Creek: Finding Hope in the High Country (2019), from which Cheryl Strayed chose an essay for inclusion in the forthcoming Best American Travel Writing and another essay will be included in the forthcoming Pushcart Prize anthology, A Rough Guide to the Heart (Virago, 2001), and A Little More About Me (Norton, 1999, reissued 2013). Houston has also edited a collection of fiction, nonfiction, and poetry entitled Women on Hunting: Essays, Fiction, and Poetry (Ecco Press). She is the author of a stage play called “Tracking the Pleiades”; and she has written the text for Men Before Ten A.M., a book of photographs by the French photographer Veronique Vialle. Richard Ford selected “How to Talk to a Hunter” for the 1990 Best American Short Stories; a decade later, Houston’s “The Best Girlfriend You Never Had” was John Updike’s only addition to the 1999 Best American Short Stories of the Century. Her stories have also been selected for The O. Henry Awards and The Pushcart Prize. She is the winner of the Western States Book Award, the WILLA Award for contemporary fiction, and The Evil Companions Literary Award. She is a regular contributor to O, the Oprah Magazine, The New York Times, and many other periodicals. Her essays and stories have been widely anthologized, and in 2012 she contributed the prologue to Metawritings: Toward a Theory of Nonfiction (University of Iowa Press). Houston is a Professor of English at UC Davis, directs the literary nonprofit Writing By Writers and teaches in The Pacific University low residency MFA program and at writer’s conferences around the country and the world. She divides her time between Davis and southwestern Colorado at 9,000 feet above sea level near the headwaters of the Rio Grande. 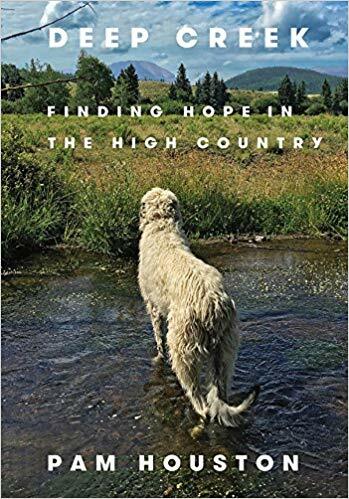 She is also the author of two collections of linked short stories Cowboys Are My Weakness and Waltzing the Cat, the novels Contents May Have Shifted and Sight Hound, and two collection of essays, Deep Creek: Finding Hope in the High Country and A Little More About Me. Her stories have been selected for Best American Short Stories, The O. Henry Awards, The 2013 Pushcart Prize, and Best American Short Stories of the Century. She is the winner of the Western States Book Award, the WILLA award for contemporary fiction, The Evil Companions Literary Award, and multiple teaching awards. A very special love story from the best-selling author of Cowboys Are My Weakness. This is the story of a woman, Rae, and her dog, Dante, a wolfhound who teaches “his human” that love is stronger than fear (the dog has always known this). Dante is the catalyst for change in other characters as well, and they step forward with their narratives: Rae’s house-tender; her therapist; two veterinarians; and an anxiety-ridden actor, Howard, who turns out to be as stalwart as Dante himself. As the “seer” who hunts by sight rather than smell, Dante has some things to add, as does Rose, another dog who lives at Rae’s heels, and Stanley the cat. Among and above these myriad voices, Rae voices her own challenges. With the wit and dead-on candor we’ve come to expect from Pam Houston, Sight Hound unfolds a story that illuminates the intangible covenant between loved ones. Here, dogs and humans are simply equal creatures, looking to connect and holding on for dear life when they do. 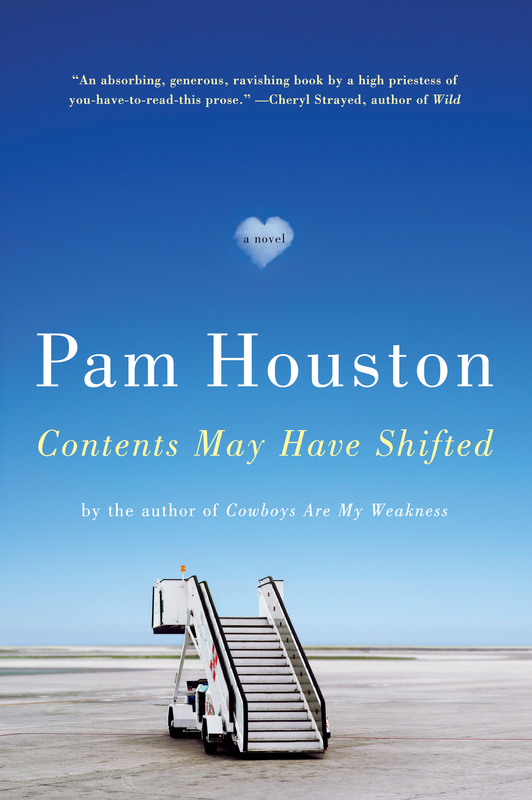 In Pam Houston’s critically acclaimed collection of strong, shrewd, and very funny stories, we meet smart women who are looking for the love of a good man, and men who are wild and hard to pin down. “I’ve always had this thing for cowboys, maybe because I was born in New Jersey. But a real cowboy is hard to find these days, even in the West,” says the narrator in the title story. Houston’s heroines are part daredevil, part philosopher, all acute observers of the nuances of modern romance. They go where their cowboys go; they meet cowboys who don’t look the part—and they have staunch friends who give them advice when the going gets rough. Cowboys Are My Weakness is a refreshing and realistic look at men and women—together and apart. They said we wouldn’t see any orcas. They said the humpbacks were in and when the humpbacks were in you didn’t see the orcas, because the orcas are predators and the humpbacks are prey. It’s been a long day. We’ve been all the way up Tracy Arm to the glaciers and everyone but the captain and I are sleeping when word comes over the radio: Orcas in Shearwater Cove. By the time we get there there’s nothing stirring. A couple of lazy humpbacks out in the main channel a sure sign that the orcas are gone. The captain is worried about the hour, worried about the fuel he’s got left, worried about his daughter, who’s got magenta hair and a T-shirt that shays THIS is what a feminist looks like, who is back from somewhere like Reed College working on his boat this summer, selling sodas to the tourists through a permanent scowl. There’s a fin flash on the far side of the channel, distant but unmistakable. Orca. Male. The first point of confusion I’d like to clear up is that there are three legs left, three good legs that are perfectly capable of lifting the entire lithe grey body over a single-strand barbed wire fence from a standstill, especially if the human you love is standing next to it, crying about your osteosarcoma, about your lost fourth leg, about your impending decline and premature death, about how she will never live without you. You jump over the barbed wire to show her that your death is still a long way off, that for a wolfhound three legs is a kind of koan, that your one true goal is to stay alive long enough to help her find another human who will love her properly after you are gone, and that finding that human is at once as improbable and as effortless as a three-legged wolfhound sailing over a four-foot barbed wire fence. I have spent too much of my life proving I can be one of the guys, never saying uncle, never admitting I’m tired, or hurting, or cold. Tonight I am all three, but the thing that makes me nod my head and say yes I want to go back again and stand in that icy river has nothing, for a change, to do with my father, or my childhood, or all the things in the world I need to prove. It is the potent and honest feeling between these men that I covet, that I can’t miss an opportunity to be close to. I have stumbled, somehow, onto this rare pack of animals who know I am there and have decided, anyway, to let me watch them at their dance. I want to memorize their movements. I want to take these river nights home with me for the times when the darkness is even heavier than it is in this Michigan sky. And he was right, it did, but I kept on talking and soon I was telling him about the pain in my mouth and the back of my head and what Billy had done that day in the barn, and the ghosts I carry with me. Blood was coming out with the words and pieces of tooth, and I kept talking till I told him everything, but when I looked at his face I knew all I’d done was make the gap wider with the words I’d picked so carefully that he didn’t want to hear. The wind started up again and the rain was getting steady. I was crying then, but not hard, and you couldn’t tell through all the dirt and blood, and the rain and the noise the wind was making. I was crying, I think, but I wanted to laugh because he would have said there weren’t any words for what I didn’t tell him, and that was that I loved him and even more I loved the prairie that wouldn’t let you hide anything, even if you wanted to.